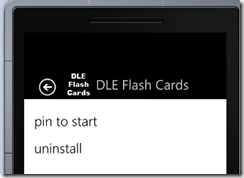 Adventures in WP7 – Pin To Start Image Madness!!! One of the items I got hit with in my initial WP7 app rejection was that my “Pin-To-Start image didn’t match with the rest of the icons”. Hmm, come to think of it I never did test that. So I tried it out. 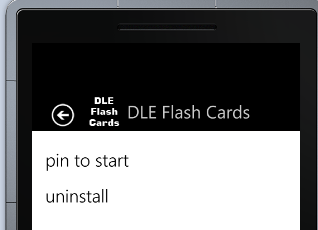 To pin an app, you hold down until you get the menu below, then you pin it to the start screen. After I did this, I saw a big blue box where my app logo should have gone. So that’s what they were talking about. *Note: If you’re curious what the TemplateType5 tag is about, check out Rudi Grobler’s blog post where he explains all the different Template Types. It turns out the culprit to all this was the Build Action for my PNG file. 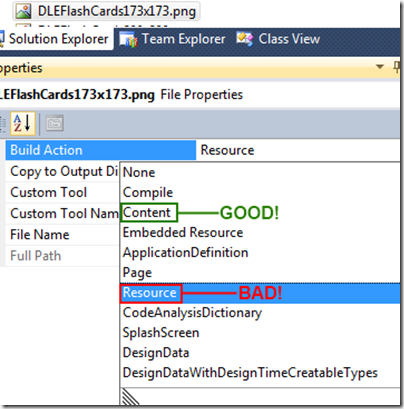 Adding it defaults to Resource, but for the purposes of the Pin-To-Start tile image, you just need to switch it to Content instead. 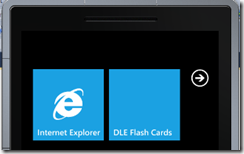 # re: Adventures in WP7 – Pin To Start Image Madness!!! My guess that if you tried Embeded Resource it would work as well. From the name I would expect the image to be compiled into the actual app. You'd think so, right? But it actually doesn't work. I switched it to Embedded Resource, and flipped the bool values in the xml tag attributes (so relative to false, is resource to true). I get a pixelated version of the Windows blue ring of waiting. I tried some different combinations, but Content is the only one that properly displays the graphic when pinning it to the start menu.